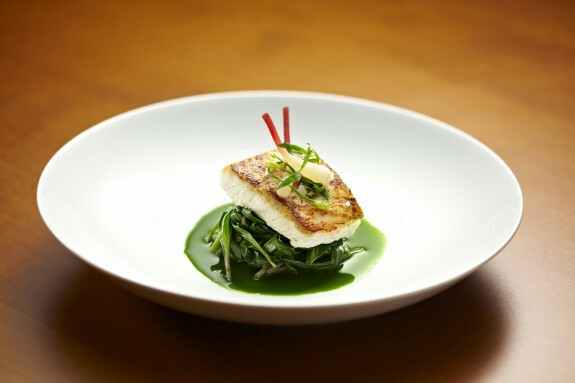 Make a declicious halibut using Sous Vide. Set the temperature on your Sous Vide Professional™ to 51.7°C / 125°F with rear pump flow switch closed and front flow switch set to full open. Season the halibut with salt. Place the halibut in a bag; add milk, rosemary and lime leaves and vacuum seal. Make sure that the fish is not overlapping in the bag. Drop bag into the 51.7°C/125°F water bath and make sure that it is completely submerged. If necessary, place a small weight on the bag to weigh down the fish. After 11 minutes, remove the bag from the water and feel the fish for doneness. If the fish is not done, return the bag back to the water bath. Check every 2 minutes until the fish has reached desired doneness. Remove bag, take halibut out of the bag and serve. Gently remove halibut from vacuum bag. If a sear is desired, gently dry off the portion with paper or kitchen towel. Season as desired and sear in a hot pan with olive oil or butter. The halibut may also be grilled, if desired. A 20% salt solution is effective in inhibiting the secretion of albumen and gives the halibut a pure white color when cooked. The brine will eliminate the need for additional salt in the recipe when brined for 20 minutes. Brine must be applied when ice cold, hence the crushed ice in the recipe. Rinse the halibut prior to vacuum sealing.